AREAWIDE: The guest speaker at the Monday, Mar. 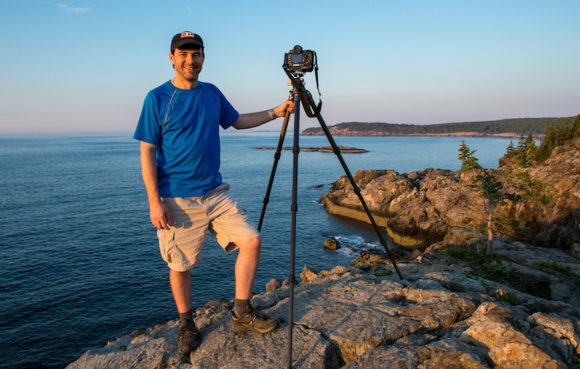 5 meeting of the Connecticut Valley Camera Club (CVCC) will be the acclaimed photographer and author Chris Nicholson, who will give a presentation titled “Photographing National Parks.” The meeting will be held at 7 p.m. at the Lymes’ Senior Center, 26 Town Woods Rd., Old Lyme, Conn. All are welcome. Chris Nicholson is a photographer and writer based in southern Connecticut and New York City. Formerly a magazine editor for ten years, he has worked on a freelance basis since 2004, with his camerawork focused primarily on the travel and sports genres. His writing and photographs have been published in over 30 magazines and several books. Nicholson works in a primarily conservative style, believing that ideal composition is simple, strong and powerful. He has covered locations in Australia and throughout the continental United States (especially in New England, which he considers to be one of the most aesthetically unique regions of America). Throughout his career he has studied the American national parks. Whether for assignments, publishing projects or personal work, Nicholson travels to national parks several times per year for photography. Over the past two decades he has paid particular attention to Acadia, Everglades, Grand Teton, Great Smoky Mountains, Olympic, Shenandoah and Yellowstone, visiting and photographing those seven a combined 26 times. For more information, visit the club’s website at https://ctvalleycameraclub.smugmug.com/. CVCC meeting dates, speakers/topics, and other notices are also published on the club’s Facebook page at http://www.facebook.com/CTValleyCameraClubPage.